The Classic range of dog kennels is manufactured to exacting standards using only premium materials. 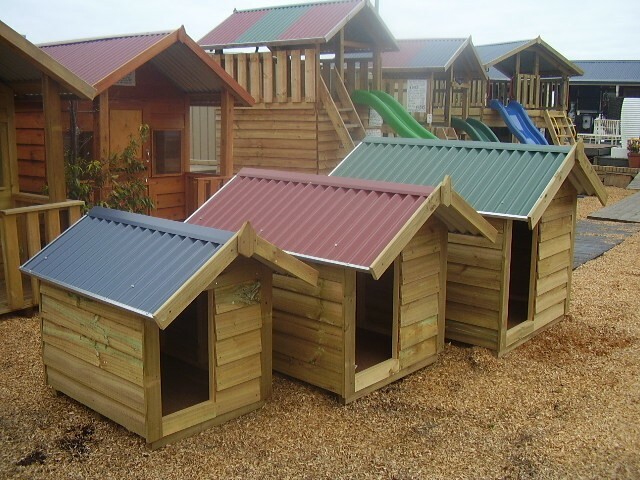 Dog kennels are manufactured from arsenic-free, (pet friendly), treated pine, over a pine frame. The roof is clad in genuine Bluescope Steel Colorbond, (in a choice of Woodland Grey, Caulfield Green or Deep Ocean Blue). Don't waste your money on cheap imported kit kennels made from inferior lightweight timber, which won't last. Flooring used in our dog kennels is moisture & insect resistant "yellow tongue" on top of 70 x 45 Treated pine pads allowing underfloor ventilation. Be assured when you purchase a Classic Dog Kennel, your dog kennel will keep your pet warm and dry for many years. Extra Large Classic Dog Kennel 1400mm D x 1070mm W x 1250mm H. Suitable for larger breeds, such as Malamutes, Wolf Hounds, Rotties or 2 smaller dogs, etc. The Classic range of dog kennels is manufactured to exacting standards using only premium materials. 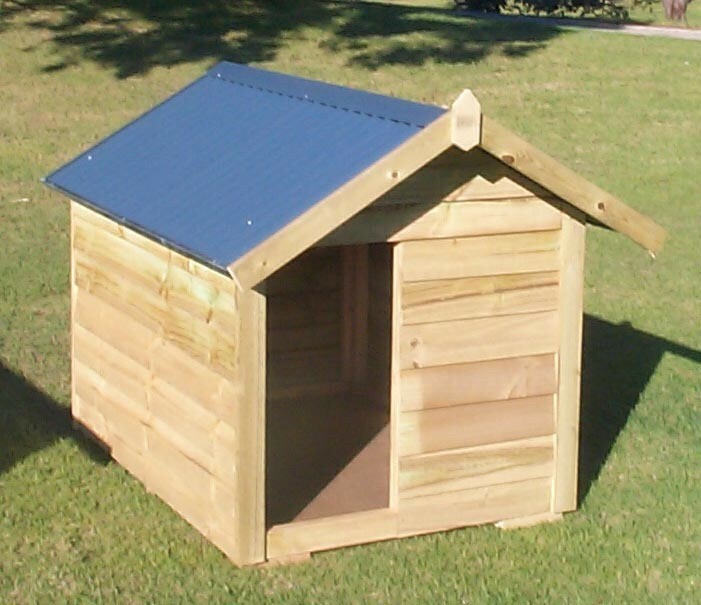 Dog kennels are manufactured from arsenic-free, (pet friendly), treated pine, over a pine frame. The roof is clad in genuine Bluescope Steel Colorbond, (in a choice of Woodland Grey, Caulfield Green or Deep Ocean Blue). 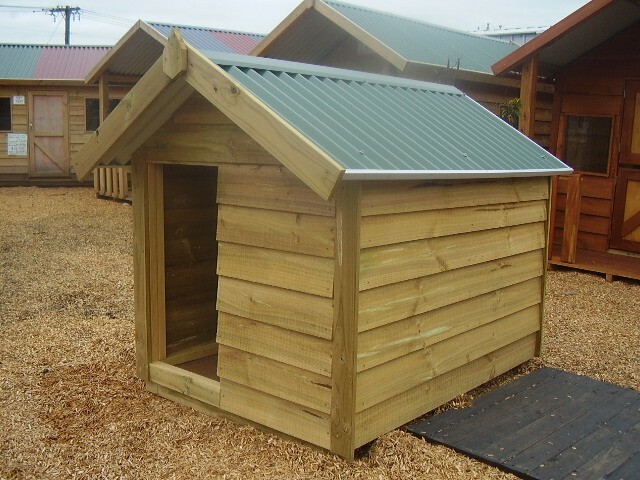 Don't waste your money on cheap imported kit kennels made from inferior lightweight timber, which won't last. Flooring used in our dog kennels is moisture & insect resistant "yellow tongue" on top of 70 x 45 Treated pine pads allowing underfloor ventilation. Be assured when you purchase a Classic Dog Kennel, your dog kennel will keep your pet warm and dry for many years. Extra Large Classic Dog Kennel 1400mm D x 1070mm W x 1250mm H. Suitable for larger breeds, such as Malamutes, Wolf Hounds, Rotties or 2 smaller dogs, etc. Available for pick up only. Local Melbourne Metro delivery is available, contact us for delivery cost.